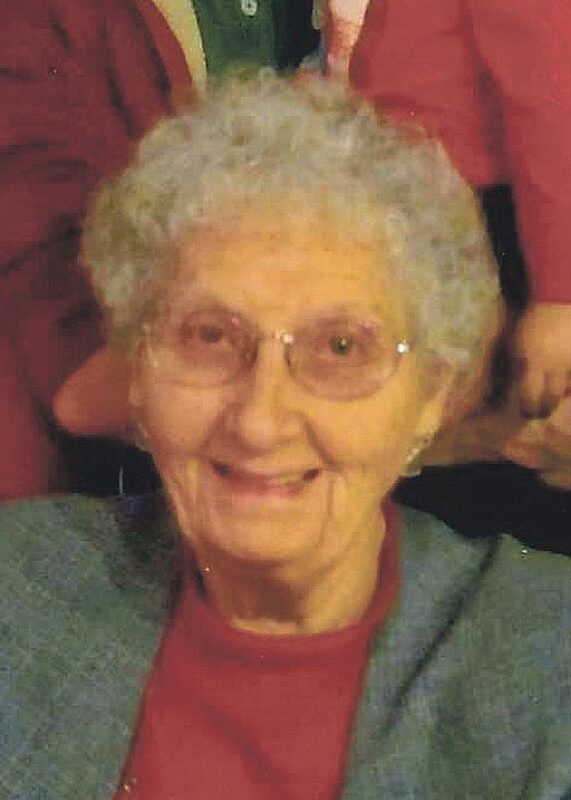 Betty J. Casey, 93, of Warren, Pa. died peacefully Sunday, April 7, 2019 surrounded by her family at Kinzua Healthcare and Rehabilitation Center, Warren, PA. She was born October 20, 1925 in Warren, PA. Daughter of the late Chester R. and Edith Anderson Nelson. Betty was a lifelong Warren area resident and a 1943 graduate of Warren High School. She was a graduate of the class of 1946 as a registered nurse, from the W.C.A. Hospital School of Nursing. Betty was employed with Warren General Hospital in the operating room, and Blair Corporation. She was a member of St. Paul Lutheran Church, the Christian Woman’s Group and served as Vice President and President of the Church Women United. Betty had served as a Den Leader with the Cub Scouts and a Brownie Leader with the Girl Scouts. She enjoyed playing cards in numerous card clubs and at Holy Redeemer social hall. Betty was an avid reader and Bingo player. She always enjoyed taking care of people, especially her family and friends. She was the last of 48 first cousins. She is survived by her 4 Children – Michael Casey and wife, Patricia of Bloomington, WI., Sandra Johnson and husband, Richard, Pamela Martin and husband, Kevin, Joseph Casey and wife, Tara all of Warren, PA., 18 Grandchildren, 23 Great Grandchildren, several nieces and nephews including James Dutchess, and Cynthia Vullo whom she helped raise. In addition to her parents, she was preceded in death by her husband of 41 years, Joseph C. Casey who died September 26, 1989 whom she married January 5, 1948 in Warren, PA., 1 Stepson – Thomas Casey, 1 Sister – Doris Dutchess, Stepfather, Frank Nelson, Stepbrother – Tim Nelson, Stepsister – Jane McGuire, niece – Jane Barnes whom she also helped raise.